Anita has been a family law solicitor for over 20 years and joined Atkinson Vinden as Special Counsel. She has been assisting clients to resolve their family law problems for over 20 years. She provides comprehensive legal advice and representation on all aspects of family law. The starting point is always to listen to your concerns and provide realistic and cost effective options to finalise your family law matter quickly. Our clients are treated with empathy dignity and support. They know we walk with them every step of the way. Issues important to Anita include explaining things clearly in plain English, being sensible and pragmatic about what outcomes will actually work, and always making sure that the needs of any children are carefully considered. She works hard to establish a rapport with the solicitor acting for the other party to facilitate a negotiated outcome where this is in the best interests of the client. Her experience and pragmatic approach ensures that your court orders are specially crafted to take into consideration your very unique circumstances. Wherever possible Anita uses every option to ensure your matter is settled without having to resort to the court process. 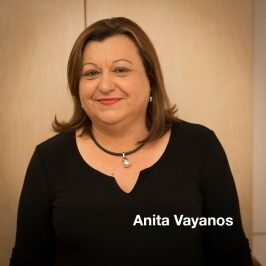 However if your matter has to go to court, Anita is a skilled negotiator and experienced advocate who helps her clients to present their very best case, to go to court. Due to Anita’s vast experience in the Family Law she receives referrals from a wide array of government and non-government sources. She has appeared as a public speaker at forums on Domestic Violence and family law seminars. She enjoys opportunities to share her knowledge and provides mentoring to other family law practitioners. In her spare time, Anita is a keen traveller enjoying different countries' cultures as well as absorbing the ambience of each new destination. Anita was highly recommended to me. She listened to my concerns, gave me sound, practical and cost effective legal advice. I can now sleep at night.